His are the hands, blessing me now. All praise to the One. Sent this hummer out around Christmas time. It moved me then and it has come around or back to me, it moves me still. What a gifted and potent center piece of my generation this man has been. Working for and with friends is the best. My friend has eclectic tastes and brings me wonderful objects to work with. This project was a sheath for a custom knife. The knife is approx. 11” long, forged by hand. 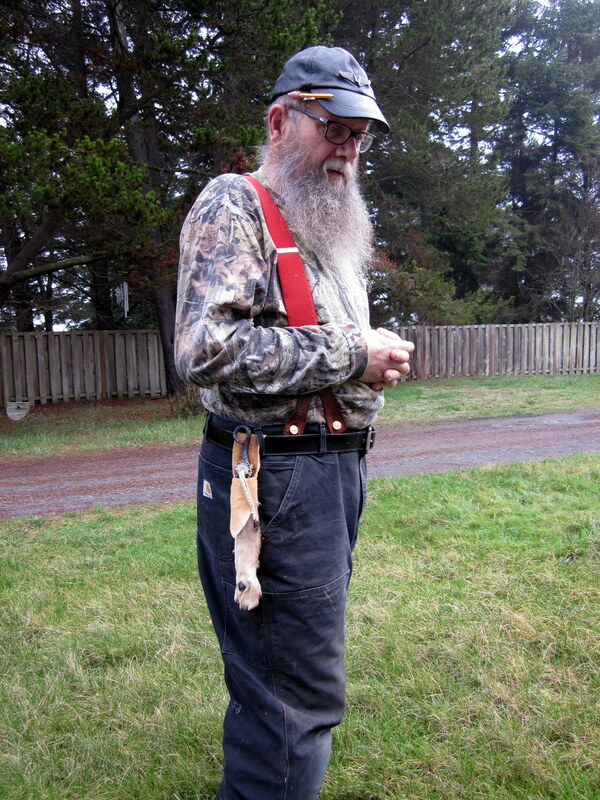 The sheath is all hand worked using elk rawhide for the case itself, brain tanned deer skin and the lower leg of a deer that still has hair and due claws in place. 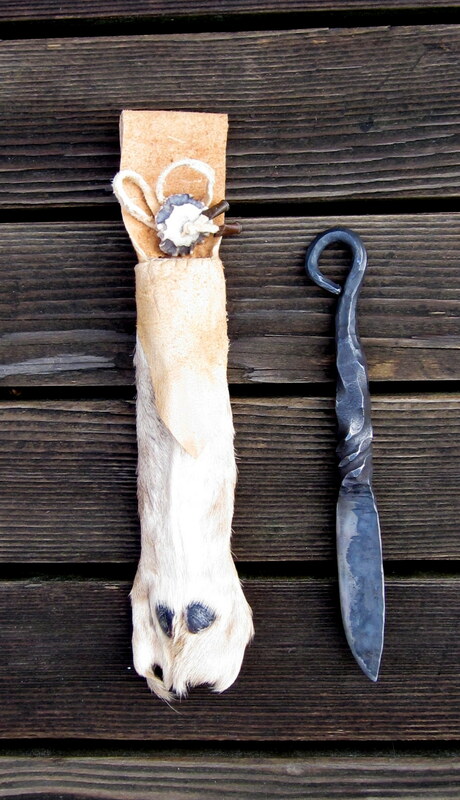 A rosette of deer antler is the safety closure. It turned out wonderful, simple and elegant. Happy client as well! 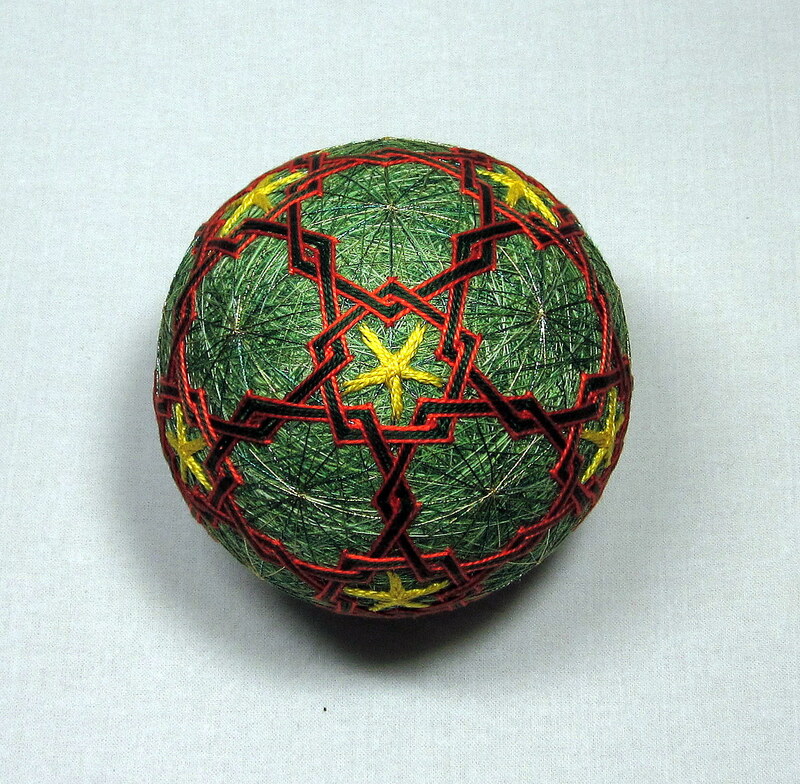 Seems like the days, weeks, months, they all pass by, time flows by, new Temari happens. Learning several new patterns lately. The first time for each is a bit stiff in rhythm, as each completes itself I gain in experience, a knowing that resides deep within. I’ll be doing each pattern again using different color ways. The lines and spacing and over-all appearance, color harmonies, these will change and be smoother in every way. I keep coming back to this phrase often the past few weeks. If nothing is as it seems, then everything is something else, not what it appears to be. All things, no matter what? Without exception? A primary philosophical dilemma or law of nature? Only a law of perception? Hmmm, an endless pondering no doubt. 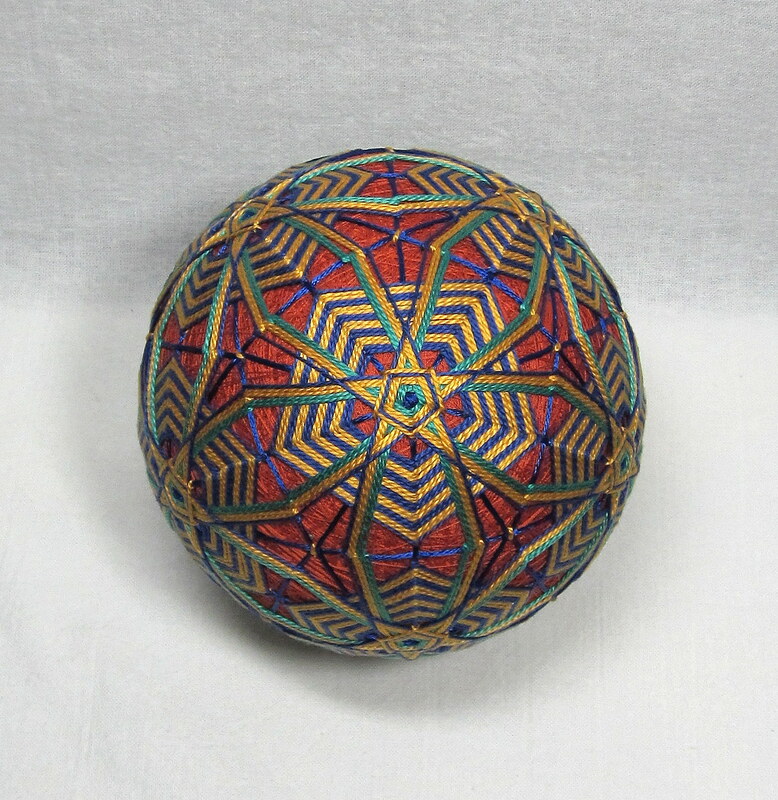 This wonderful new Temari pattern is the product of a new connection for me. Just before Christmas I got an email from a woman in Russia complimenting and admiring my published work that she’d seen on the internet through WordPress and Flickr . Wow, so cool it blows big wind up my skirt. We have been figuring out how to continue on by cutting and pasting dialogue with google translate, sending pictures, sending links to relevant sites. 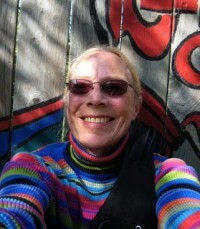 I know that I am having fantasy travel plans to Central Russia to become an “artist in residence” with her. 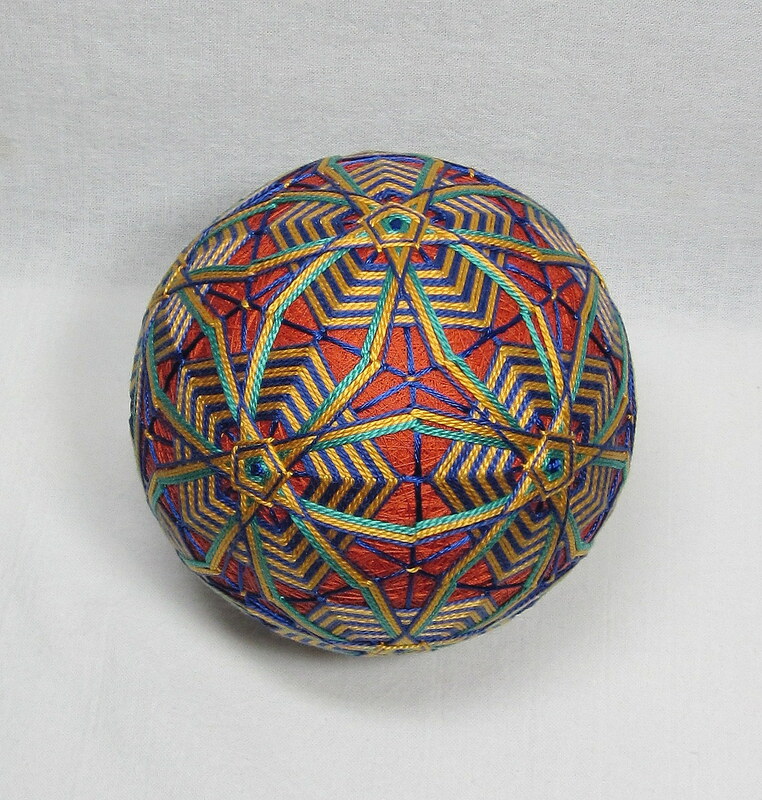 This Temari is 38cm in circumference, big and bold. As a friend just said to me, it looks like a big spider is crawling over the surface. 2 full layers of pattern make this one really hum. Practice is a part of learning any new skill. Starting simple and gaining accomplishment. Details of technique make all the difference. How self critical are you willing to go? Not in the harsh sense but in the “what I need to know, practice, change, redo”, with the intention of perfecting ones results. Cracks in perfection are where the light spills through, and gratefully so. So again, practice, practice, practice. 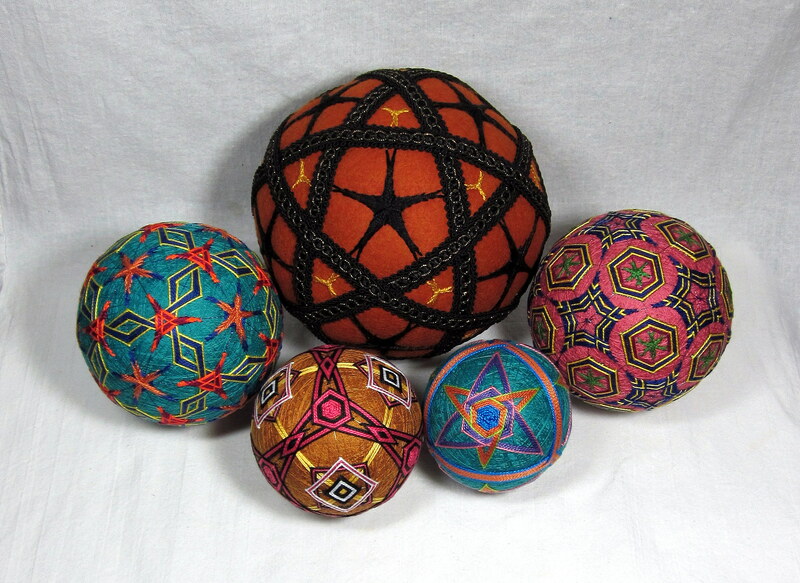 Different star patterns, different sizes, different divisions of surface area. 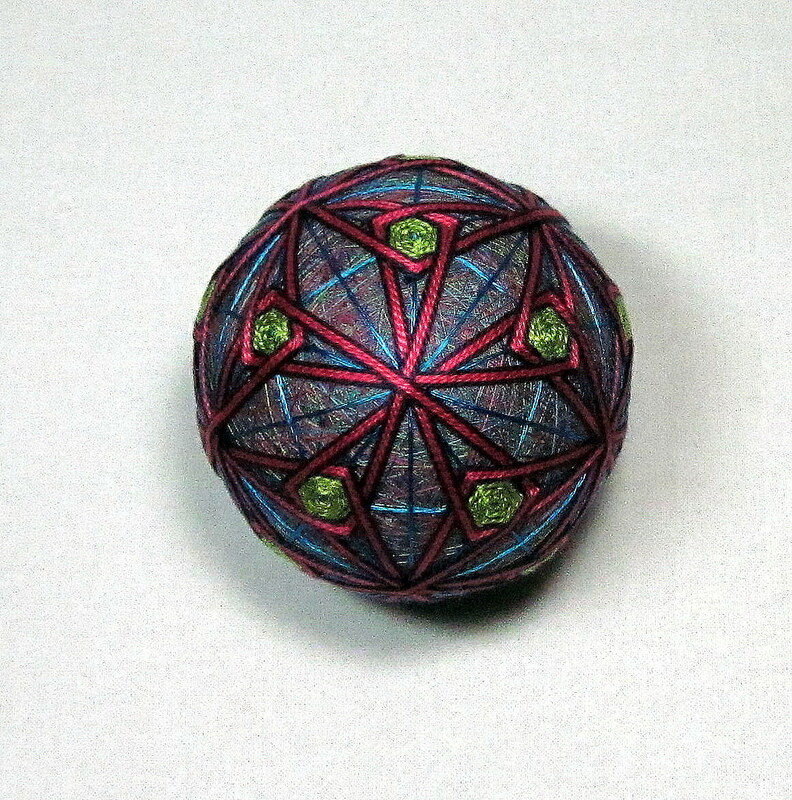 Hunting for or just riding along with the strand of inspired this medium, Temari, keeps placing in my path.